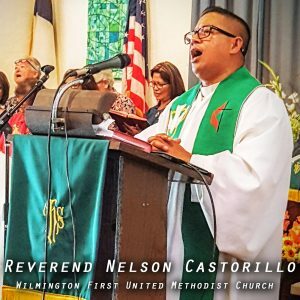 On this 102nd Anniversary of First United Methodist Church in Wilmington, Pastor Nelson takes a detour from his prepared text to springboard from the general message presented by church members who shared how their church has touched their lives. This Sunday’s sermon is based in the gospel of Luke 15:11-32 and the title of my sermon is Lost and Found. It will ask the question whether suffering is from God or just the consequence of our being lost. What are the indicators that determines we are lost? How can we recover or turn back to where we came from? What awaits us when we return to God? Is it punishment or blessings? I look forward to seeing you this Sunday for our 10:15 a.m. service. Bring a friend or friends. God bless every one of you.